B2B platforms are the next battle Europe cannot afford to lose. The eFactory project started on 1st January 2019. The project has received €13.64m funding from the European Commission to establish a 'European Connected Factory Platform for Agile Manufacturing'. 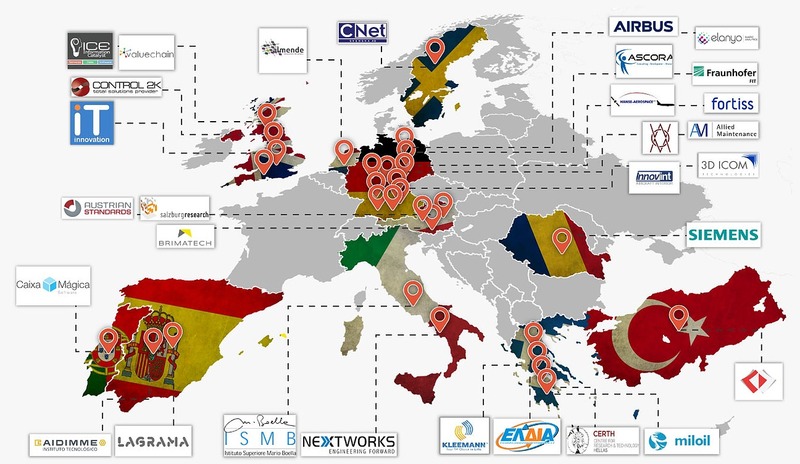 eFactory brings together European excellence (30 partner organisations) to build a federated digital platform with tools, services and embedded intelligence to significantly reduce the burden of setting up collaborative networks, shorten the time to respond to new business opportunities and simplify the management and control of distributed processes. Data analytics capabilities will be a core part of eFactory's value proposition. elanyo will mainly contribute its data analytics excellence to the project. That will include data aquisition, integration, preprocessing and advanced analytics capabilities. The federated digital platform will offer multiple testbeds to support the prototyping, validations and uptake of smart factory solutions. The federation of multiple testbeds, tools and services is supported by an interoperable 'Data Spine' that streamlines cross-platform communication and securely captures multi-tier supply chain intelligence, which is then propagated within the platform through interfaces and a dashboard so that organisations can increase network competitiveness. The open interfaces and connectors to the eFactory Data Spine are provided to enable interconnections between internal and external platforms, thus contributing towards the creation of an ecosystem of connected smart factories in Europe. The innovation potential of eFactory will be demonstrated in three cross-domain pilots. The results of the pilots will be publicly released along with a well-defined plan for large scale experimentation to elaborate the tools, techniques, services and other platform features available to SMEs. The large-scale experimentation plan includes a €2.5 cascade funding program to support the participation of innovative SMEs in the eFactory ecosystem. The experimentation plan will be completed by APIs for utilising the core platform, tools (e.g. data analytics, business intelligence etc.) and an SDK for prototyping in both reduced, controlled environments and in real-life scenarios. By putting in place the proven procedures and support infrastructure (covering management, administrative, technical and financial aspects) as well as feedback mechanisms, the experimenters will be able to adapt the eFactory platform to specific application needs and validate their relevance for such needs.